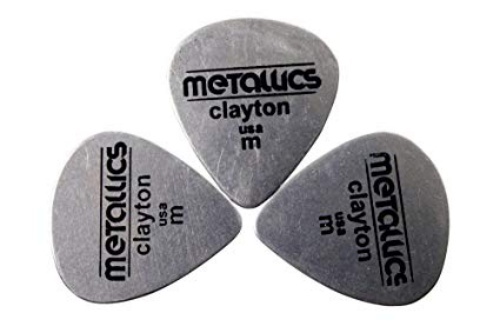 Incredibly hard pick with a clear, bright sound. Metal picks in Clayton quality. Consistently round edges thanks to extra long tumbling. Due to the material a pickguard on the guitar is recommended.